Lee J. Cobb: What a Character! 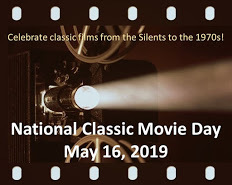 This post is part of the WHAT A CHARACTER Blogathon, hosted in part by the lovely and talented Aurora at Once Upon a Screen. 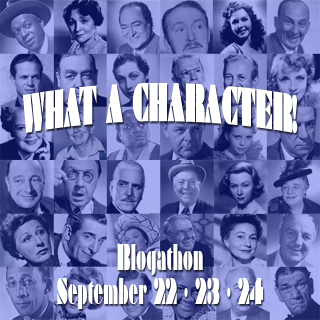 The blogathon runs September 22-24, 2012. 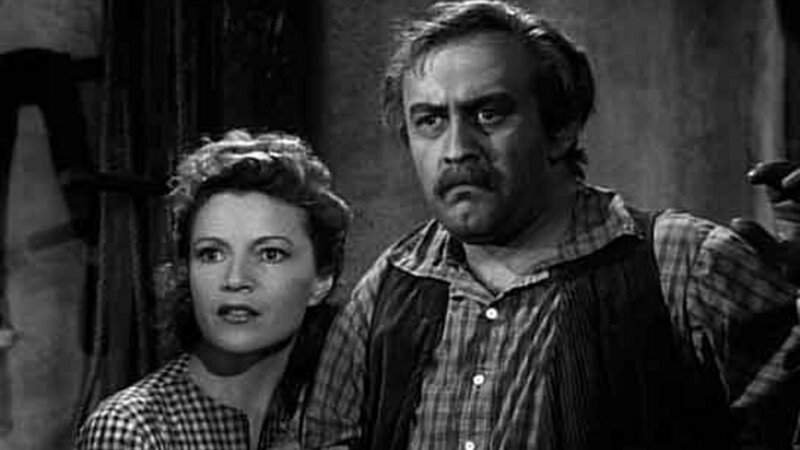 Annabella and Lee J. Cobb plot against the Nazis. Here’s what we wish. We wish Lee J. Cobb were the star of this movie and that the story were told from his point of view. What movie are we talking about? It’s none other than the 1943 war drama Tonight We Raid Calais, about a secret Allied mission in France during WWII. Cobb plays M. Bonaparte, a French farmer trying to mind his own business despite being overrun by Nazis. He has a busy farm, an anxious family, disgruntled neighbours – and wearisome Nazis who continually boss everyone around. One of them is especially fond of his eldest daughter (Annabella), a beautiful young woman with a cranky disposition. Really, all of this would be enough to drive anyone crazy. But not Cobb’s character. He’s a world-weary man who refuses to surrender his principles for a few conveniences. He’s the kind of person you would want on your side if you were facing similar circumstances. But what a career of “butchers and crooks”! Cobb was nominated for Best Supporting Actor Oscar in 1954’s On the Waterfront, and was nominated again in 1959 for The Brothers Karamazov. You can view his impressive list of awards here. But back to our movie. Cobb doesn’t play M. Bonaparte, he is M. Bonaparte. He speaks with a flawless French accent. He’s comfortable in his unshaven face and lived-in work clothes. You almost feel as though you are watching real-life footage of a brave and unassuming French farmer. This is why we wish the film were told from Cobb’s point of view. To see the story unfold from the viewpoint of a worried husband and father – a man who has to negotiate with Nazis and still earn a living – would have made an even more engrossing film, especially with Cobb at the helm. Here’s the thing about Tonight We Raid Calais: This movie is all business. It’s purpose is not to make you laugh; nor will it inspire you with lingering shots of the French countryside. It has a job to do and it gets to it right away. There’s no waste; no frivolity; no amusing little quirks that endear us to various characters. You climb in and hang on until it’s over. Now, there are a few plot holes in the script but we won’t worry too much about those. Tonight We Raid Calais is so sincere and well-acted that you can easily overlook them. The biggest flaw – which we’ve already pointed out – is that Lee J. Cobb isn’t the star. Tonight We Raid Calais: starring Anabella, John Sutton, Lee J. Cobb. Written by Waldo Salt. Directed by John Brahm. Twentieth-Century Fox Film Corp., 1943, B&W, 70 mins. Yep, I love Cobb. I occasionally watch the Exorcist just to see him as the cop. Quite an intimidating presence in most of his work. He’s terrific as the baddie in Waterfront, but I’m guessing you meant Cobb was nominated for the film (as supporting). Brando won the award for best actor. Nice post on a film I haven’t seen but will check out. Thanks. Whoops! I forgot the word “supporting” with the Oscar mention. Thanks for pointing that out. Yes, Cobb was truly one of the greats. I can’t name one performance that I haven’t thought was amazing. Wow. What a great review and commentary on one of the greatest on-screen forces ever. It is impossible to take your eyes off Cobb in any role he’s ever done – or at least the ones I’ve seen. And I have not seen Calais. After reading this I cannot wait to. Enjoyable read and a wonderful entry/addition to our event. I don’t comment as often as I should but as an aside – I get notifications of all your entries and they are NEVER not worth reading. I learn from you every day. Thanks so much for your kind words, Aurora. I hope you get the chance to see “Calais” – it’s worth it! Cobb is always great, isn’t he? I was astonished at how authentic his accent sounded, but really, I shouldn’t have been. It’s a really good cast in this movie. I just wish Cobb had a bigger role. But it’s still worth it! One great thing about Cobb is he could play lesser roles and be equally as good as when he dominated the screen. A great actor and often forgotten by many. Thanks for remembering him. Thanks for dropping by, John. Yup, Cobb could do it all – big or small. He was truly a remarkable talent. Lovely tribute a fine actor! Ironically, it was “The Virginian” TV series that first exposed me to Mr. Cobb. Later, I saw all his excellent performances, including the one as Gary Cooper’s unpleasant father figure in MAN OF THE WEST. I’ve never seen “Man of the West” but it’s on my To-Watch list. Thanks for visiting! Wow, this post has opened my eyes. I’m used to seeing LJC in ‘tough-guy’ roles (which he plays sooo well) but here as a character actor…*that* is intriguing. I’ll definitely have to add this to my watch-list. I hope you get a chance to see this one. Cobb is utterly convincing. If you didn’t know it was him, you would think he was a French actor. In my mind, I’ll always connect Mr. Cobb with Willy Loman. 3 cheers for premature balding! What we would have missed had he kept a full head of hair. Ha ha! So true! I never thought of it that way. I just watched Northside 777 the other day, He’s also great in On the Waterfront, I didnt know he won an award for that, good! he deserved it! I’ve never seen this film, but your take on it makes it yet another on my “must see” list. Thanks! Thanks for visiting, Kari. Cobb was fantastic in “On the Waterfront”, wasn’t he? So many great things about that movie, but I think Cobb steals every scene. It must be a nice film! Lee J. Cobb was outstanding in several movies, such as On the Waterfront. What a great actor! Thanks, Le. I will be visiting your blog tonight to catch up on my reading. What a lot of great contributions to this blogathon! I’ve learned so much about these actors. I love Lee J. Cobb, too. My earliest memory of him is in The Virginian (I just love my TV westerns!). Great post about his role in Tonight We Raid Calais. It’s one I’ve been wanting to see, but haven’t yet. I’ll make a bigger effort now. 🙂 I also recall his role as Sinatra’s dad in Come Blow Your Horn and especially 12 Angry Men. Great actor; another one who seems to morph into the lead – just as you pointed out. Thanks for sharing!! Cobb always gives you your money’s worth, doesn’t he? Sorry, but Cobb never won any kind of Oscar, foreither leading or supporting player. He was one of three male nominees (along with Steiger and Malden) for Waterfront, but they split the vote. Neither was he Miller’s idea for Salesman at the beginning; both Miller and Kazan were originally intent on having Fredric March do it. Thanks, Cynthia. You are correct. I have made that change. Cobb is one of my favorite character actors along with Jack Carson, Harry Davenport, Monty Woolley, Grant Mitchell, Allen Jenkins and so many more. What we do without these great characters who supported so well in many films. No kidding! These folks made all their movies better for having been in them.